A sharp pushing blow made to the face or upper body using one or both open hands. 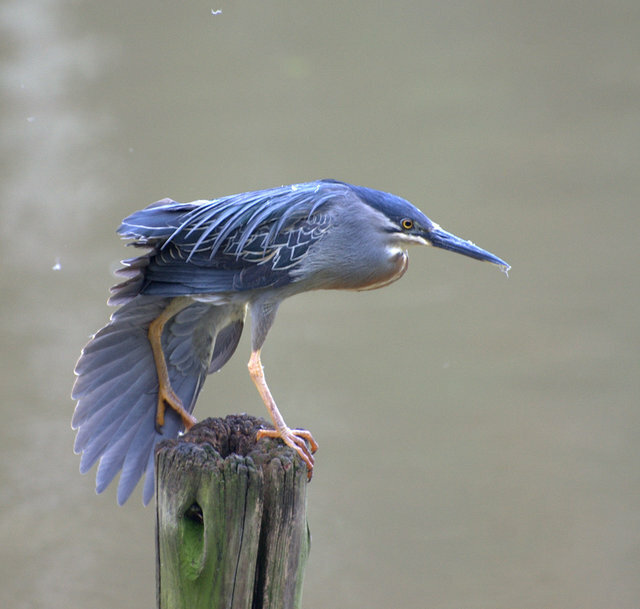 The Striated Heron, adults have a blue-grey back and wings, white underparts, a black cap and short yellow legs. Juveniles are browner above and streaked below.